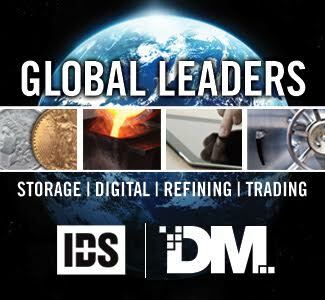 On March 25, 2010, David Hall and Don Willis, the top officials at the Professional Coin Grading Service (PCGS), announced and explained the PCGS SecurePlus™ program, known for weeks before as “The Big One”! For most grades between EF-45 and MS-68 inclusive, the PCGS begin assigning plus grades when warranted, such as 45+ or 63+. 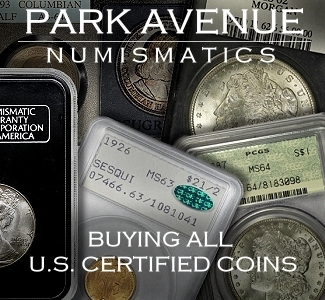 As the rival of the PCGS, the NGC, incorporated plus grades into their system two months afterwards, and the PCGS later allowed for standard submissions to be eligible for plus grades, not just coins submitted via the SecurePlus tier, plus grades now seem to be a secondary aspect of the program. In my view, the emphasis should always have been, as it is now, on the ‘Secure’ aspects of the SecurePlus program, which are truly revolutionary and have tremendous implications for the future of markets in rare coins. I hope that those who are not entirely familiar with the PCGS SecurePlus program find this column (part 1) to be very clear and educational. In my opinion, the explanation of the PCGS SecurePlus program on the PCGS website is not extremely clear and, over the past six months, I have found that many collectors are confused about this program. Collectors who are already very familiar with the PCGS SecurePlus program, and with PCGS policies in general, may wish to wait for part 2, next week. In part 2, Don Willis, the president of PCGS, responds to my explanation and a proposal for the reform of PCGS submission policies is put forth. The views of John Albanese, Mark Feld and Ira Goldberg are included. In the first section, I provide a definition of the SecurePlus program. In the second section, I explain the benefits of the coin identification part of the SecurePlus program. In Section III, I emphasize that submitters of coins to be graded by the PCGS may choose between the SecurePlus program and standard submission options. The SecurePlus program brings three new technologies to coin grading. (1) The introduction of a new technology for scanning and coin identification, through the use of CoinAnalyzer devices that are produced by Richard Haddock’s CoinSecure firm. 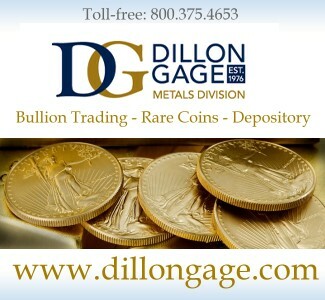 An image and data from each scanned coin is entered into a database, and, if the same coin is scanned at the PCGS in the future, it will be identified as a coin that was previously scanned. (2) The use of ‘Sniffer’ technology to detect added foreign substances and changes in the surfaces, the metal, on coins that have been deliberately harmed by coin doctors for the purpose of deceiving experts and others into believing that doctored coins merit higher grades than were (or would have been) assigned before such coins are doctored. 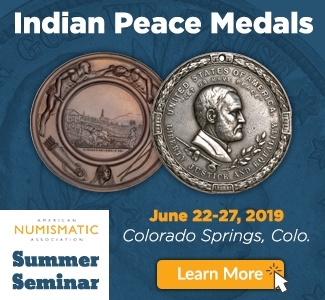 Additionally, the adding of metal to the surfaces and/or the deliberate heating of the metal on the surfaces of a coin will, hopefully, be detectable by ‘coin sniffer’ technology as well. The PCGS has already begun using ‘sniffer’ technology to an extent, and will be phasing additional sniffer applications into the PCGS SecurePlus grading program over time. I will devote a future piece to coin sniffer technology. The subject is so complicated that it must really be treated in a long article. 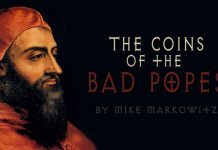 To gain some understanding of coin doctoring and the urgent need to contain the coin doctoring problem, please read five previous pieces of mine. 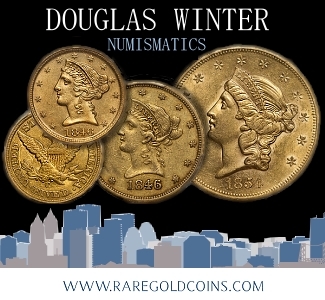 Last year, I devoted a series of three articles to the reasons why naturally toned coins are preferred and the topic of coin doctoring is discussed at length therein (part 1, part 2 and part 3). 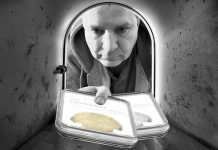 This year, I wrote two columns that address the PCGS lawsuit against alleged coin doctors, on June 3rd and on Sept. 8th. In these two columns, coin doctoring is defined, the lawsuit is analyzed, and the seriousness of the matter is emphasized. (3) The third ‘Security’ issue relating to the PCGS SecurePlus program is the anti-counterfeiting technology incorporated into the new inserts. 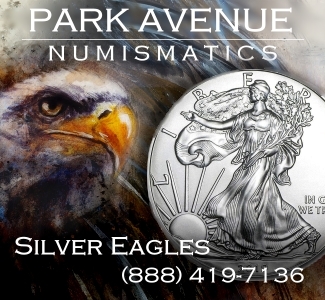 In each PCGS holder, there is a paper insert that provides information about the coin contained therein. A gold eagle with a shield is pictured on an insert in the PCGS holder that houses each coin that has been graded under the PCGS SecurePlus program. Unethical businesses in China have produced forgeries of PCGS holders with misleading grades printed on fake inserts. 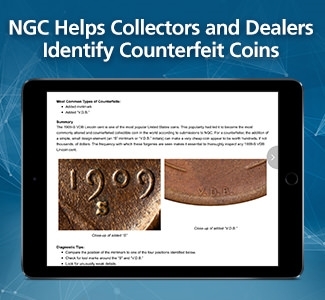 New anti-counterfeiting features are important, though less so than the coin identification and sniffer technologies that constitute the core of the PCGS SecurePlus program. Under the SecurePlus™ program, submitted coins are scanned, for purposes of identification, with CoinAnalyzer devices. CoinSecure software employed by the PCGS will be able to identify each scanned coin if it is submitted to the PCGS again in the future, and, when a match is found, the submitted coin will be closely compared to an image of the same coin that was taken when it was previously submitted. My understanding is that, when the Finalizer of a submitted coin finds, through CoinSecure software, that it has been previously submitted to the PCGS, he will analyze the images and, if the appearance of a matched coin has changed, the Finalizer will investigate the reasons why it has changed. Not all changes in the appearance of a coin are due to coin doctoring or accidental mishandling. Most coins naturally and gradually tone over time. When PCGS graders evaluate a coin that is submitted under the PCGS SecurePlus program, they are not, at least not at first, told whether or not it has previously been submitted to the PCGS. After graders grade a particular coin, the Finalizer examines the coin and reviews the grades assigned by two or more graders. If a coin is scanned by a CoinSecure CoinAnalyzer device and is later scanned again, software developed by Richard Haddock’s CoinSecure firm can, with access to data from both scans, certainly match the two sets of data as belonging to the same coin. 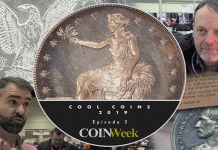 Indeed, in extensive testing of the matching feature of the CoinAnalyzer devices and accompanying software, Richard Haddock and Don Willis found that previously scanned coins were definitively identified in “100%” of all cases. “Short of destroying the coin,” Don Willis says, it will be identified if it was previously submitted under the SecurePlus program. For test purposes, Willis and associates dipped, doctored or even severely damaged a very large number of coins and found that each of them could later be matched to images taken before the test coins were modified. 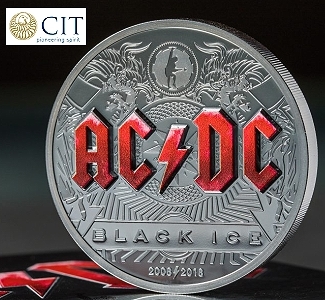 In another words, regardless of the extent to which a coin is changed (within reason), a pre-change scan can be definitively matched to a post-change scan, say Haddock and Willis. The CoinAnalyzer devices, and accompanying software, are thus useful for identifying coins that have been previously submitted and for providing clues regarding each coin that looks different now than it did at an earlier time. For a coin that has changed, by comparing ‘before’ and ‘after’ images, a PCGS Finalizer will get an idea of the manner in which the coin changed. If an area of a coin that was previously gray is now blue (or vice versa), the Finalizer and/or the graders will (I hope) closely inspect that particular area. The CoinAnalyzer devices, as employed in the PCGS SecurePlus program, may also be useful in terms of identifying coins that have previously been lost or stolen. 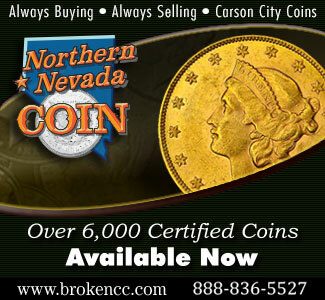 If coins certified under the PCGS SecurePlus program are stolen, the rightful owner should notify the PCGS of the theft. 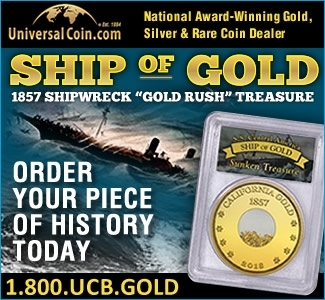 If such stolen coins are later submitted to the PCGS, they may be identified. Moreover, in many situations, the rightful owner or law enforcement authorities may suspect that such stolen coins have appeared somewhere else, perhaps not in PCGS holders. 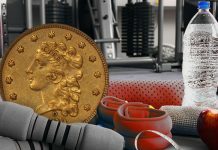 If the suspect coins are scanned with a CoinAnalyzer device and officials at the PCGS cooperate, then it can be determined if the suspect coins were ever submitted to the PCGS under the SecurePlus program. The Secure in SecurePlus does not exactly mean that each grade assigned is secured in the sense that a foundation secures a house. Many collectors and dealers have wrongly concluded that the PCGS assigned grade of a coin, which is certified under the PCGS SecurePlus program, can never change; it cannot be regraded. This is not true. 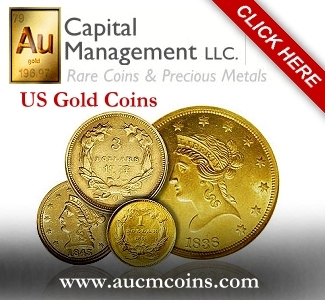 The grade is “guaranteed,” as are all PCGS assigned grades, relating to all submission programs, in that, if experts at the PCGS determine that a coin was earlier overgraded by the PCGS, the PCGS will then offer to compensate the owner for a reduction in the grade of a coin or offer to buy the coin at a PCGS determined price that is commensurate with the earlier grade that the PCGS later determined is too high. A coin that was previously graded X by the PCGS under the SecurePlus program may later be graded higher than X by the PCGS under the SecurePlus program. Don Willis emphasizes that the PCGS SecurePlus program is designed to prevent a coin from being upgraded “for the wrong reasons.” Willis, the PCGS president, acknowledges that sometimes the PCGS mistakenly undergrades a coin and thus will later increase its grade. When the Finalizer approves the grade of a coin that was previously submitted to the SecurePlus program, he has much additional information to factor into his decision-making process. 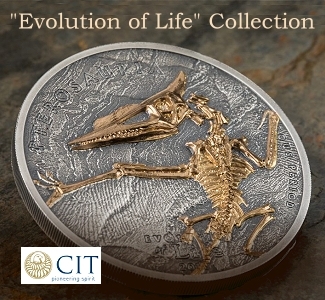 He will be aware of the previous grade that was assigned by the PCGS to the same coin and he will be able to see, by comparing earlier and current images, if the appearance of the coin has significantly changed since it was earlier submitted. Such additional information should dramatically reduce the probability of a recently doctored coin being graded and should lessen the likelihood of a coin being upgraded or downgraded. It should lead to more stability in the grading process. It is not unusual for the same rare coin to be re-submitted to the PCGS and/or the NGC on multiple occasions. 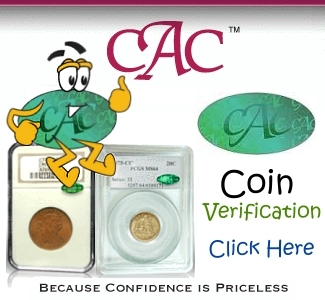 In a large number of cases, the same submitter will send in the same coin many times in hopes of a higher grade. In other cases, subsequent owners of the same coin will send it in again, often without knowing how many times it was previously submitted by others. I believe that dealers will be less likely to ‘crack’ coins out of PCGS Secure holders as the probability of getting an upgrade, especially an undeserved upgrade, will be much lower. 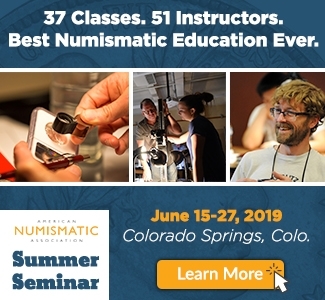 Part of the point of the ‘crackout’ game is that submitters hope that graders will eventually mistakenly overgrade a coin, which financially benefits the dealer-submitter. The use of the scans from CoinAnalyzer devices will greatly enable PCGS Finalizers to lessen the likelihood of such mistakes occurring. When a coin that would otherwise be upgraded (if not submitted under SecurePlus) is identified as having previously been assigned a lower grade, the Finalizer will further investigate the coin in question and give thought to whether it is truly deserving of an upgrade. Under the SecurePlus program, many mistakes will be caught before such mistakes result in overgraded coins being certified and shipped. 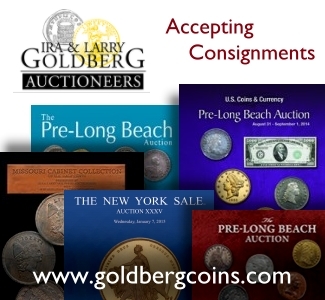 For coins valued from under $100,000 each, a PCGS submitter may choose to submit under the “standard” program, as submissions were before March 2010, when the SecurePlus program was inaugurated. Presumably, coins submitted under the standard program will not be scanned and will not be sniffed. 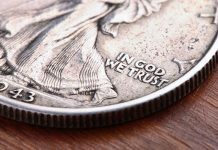 Also, comments from PCGS officials suggest that coins submitted under the SecurePlus program have been subject to more scrutiny from human experts at the PCGS. The differences in fees between the standard submissions and the SecurePlus submissions are substantial. 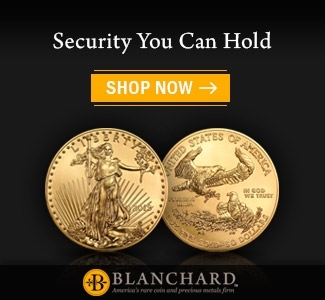 For typical (“regular”) submissions of coins valued at $3000 or less, the standard fee is $30 per coin and the SecurePlus fee is $45 per coin, 50% more. 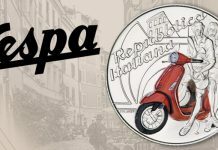 For coins valued up to $20,000, the difference is not as large, the Express Standard fee is $50 and the Express SecurePlus fee is $65 per coin, 30% more. Click here to see the PCGS list of submission fees. Coins that are already certified by the PCGS may be moved into SecurePlus holders, after being scanned and sniffed, for a “reholder” fee of only $20 per coin for coins valued at up to $20,000 each. My understanding is that the sniffing technology is being implemented in stages will not be fully operational until some point in 2011, and that SecurePlus submission are subject to more human scrutiny than regular submissions. Don Willis explicitly refers to “additional screening” in regard to coins submitted for reholdering under the SecurePlus program. From the beginning in March, I and many others have found this two tier system to be upsetting and problematic. Of course, I realize that the PCGS spent a large sum of money to adapt the CoinSecure firm’s CoinAnalyzer technology for its own purposes and will be paying the CoinSecure firm. Furthermore, the PCGS has probably spent a fortune on developing ‘Coin Sniffer’ technology. Moreover, SecurePlus submissions require more time and care from employees of the PCGS. 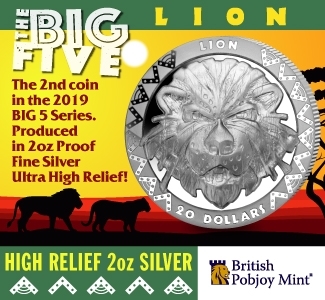 Even so, in my view, these are all necessary and well justified expenses for the PCGS to develop and offer a better product for coin collectors and other coin buyers. When a firm spends a fortune to develop a superior product, it is not always logical to continue to offer the inferior (though still very good) product that is being replaced, especially when dealer-customers stand to gain financially from the inferior-product, at the expense of collectors. While the PCGS gains in the short run from the resubmission of the same coins many times, both the PCGS and collectors are harmed by this practice in the long run, or even in the medium-length run. Grade-inflation diminishes the value of the services offered by grading services and discourages people from collecting coins. Moreover, as explained above, coin doctors are much more likely to deceive PCGS experts with coins that are submitted under the standard program than under the SecurePlus program. If most or all submission to the PCGS were under the SecurePlus program, then the grading services that PCGS offers would become much more valuable. Put differently, the SecurePlus program would be much more valuable if it became the sole program not an option along with the old standard holder program. Under the current PCGS policies, dealers may keep cracking coins out of holders and submitting them under the PCGS standard program. If a coin was previously graded MS-65 nine times and, on the tenth submission, is graded MS-66, then only the submitter (or no one) will ever know that it was graded MS-65 nine times. Three different dealers may each have submitted it three times before someone got lucky with a MS-66 grade. Even worse, putty, gel, film or paste may be added to cover imperfections for the purpose of deceiving expert graders at the PCGS into believing that a previously MS-65 graded coin is now worthy of a MS-66 or -67 grade, even though such a doctored coin should not receive a grade at all. 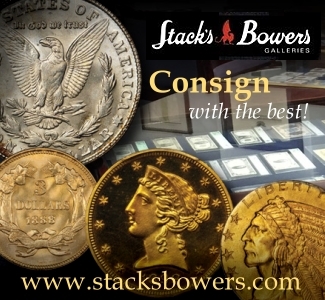 Coins in PCGS Secure holders are not yet selling at large premiums, on average, over coins in PCGS standard holders, and coins in PCGS Secure holders are still not often found, even after more than six months. 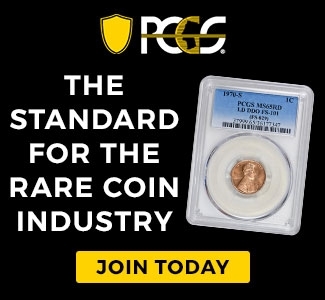 Premiums for PCGS Secure holders are small, on average, largely because most coin collectors and other coin consumers do not understand how the PCGS SecurePlus program benefits individual certified coins and the coin collecting community at large. Curtailing grade-inflation and minimizing the number of doctored coins that are graded are tremendous goals that would, if successfully reached, be of great benefit to coin buyers. In part 2, Don Willis responds, a proposal for reform of PCGS policies is put forth, and the views of John Albanese, Mark Feld and Ira Goldberg are included.